St Ives Skatepark is located at Penbeagle (on the edge of town - at the top end of The Stennack) and desperately needs an upgrade. It's very old-fashioned - made from wood, steel & tarmac and is very expensive to fix. Many local kids who can travel go to other skateparks instead - because the facilities are so poor. St Ives Skatepark Project aims to raise funds for a fantastic new concrete skatepark which will appeal to a much wider range of users. 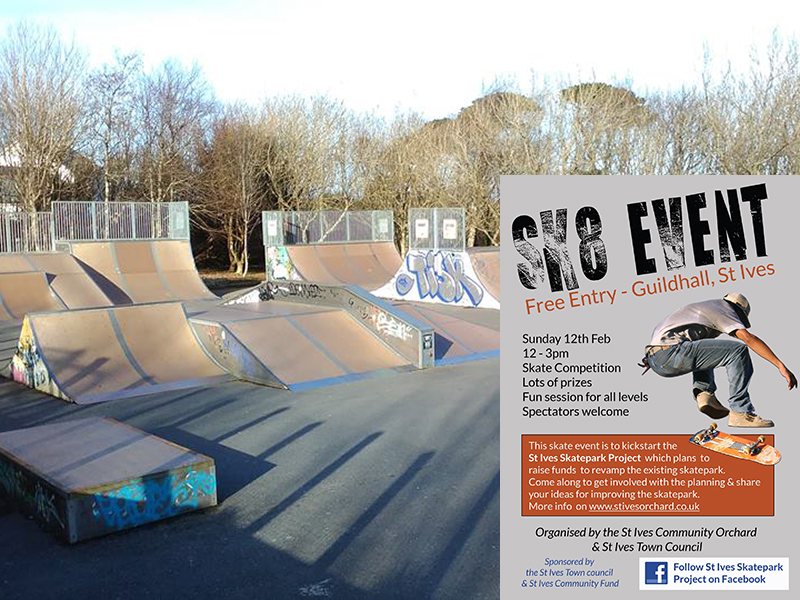 To kickstart this initiative - they are holding an event - SK8 - at St Ives Guildhall - on Sunday 12th February 2017 - 12.00 pm to 3.00 pm. There will be a Skate Competition and fun skateboarding session for all levels. If you don't want to (or can't!) skate you are still welcome. The project want local people to get involved and contribute their own ideas for the park. 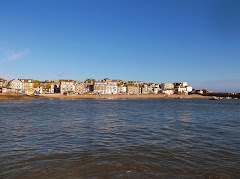 Some initial funding has been secured from St Ives Community Fund and St Ives Town Council. The project also has organisational support from another great local project - St Ives Community Orchard - which is also on Penbeagle next to the park. I have to say - it makes a nice change for St Ives Town Council to be part funding a project for local young people - and in the higher end of town - where most of us locals live. A lot of our council tax money is spent on projects in the town centre - mainly for the benefit of visitors - tourist information, public toilets, fairy lights etc. I'll post more news about the project, fundraising and how to get involved in due course.